[prMac.com] Albuquerque, NM - In an extraordinary feat of engineering Stone Design today shipped a major revision to its top-selling Twitter client Twittelator Pro Version 2.0. With an emphasis on usability, speed, elegance and user customization, this release was redesigned from ground up for ease of use, aesthetics and stability. Free upgrade for current users. With many oher power features including multiple accounts, sub groups of friends, autorefresh, trending topics, conversations, nearby search for tweeters, see anyone's favorites and last tweets, advanced and persistent searches, insty-tweet links from Safari, copy/paste/retweet, high-resolution photo uploads, auto double-tweeting of long tweets, and server access log, Twittelator Pro V2 has carefully packed the most features of any twitter client into a very usable and user-configurable layout. "We heard the critiques and went on a several month spree to re-envision Twittelator Pro" remarked Stone Design's CEO and lead computer scientist Andrew Stone. "Twittelator Pro was the #7 best-selling social networking iPhone app of 2008 and #2 for all Twitter clients. We are certain that Version 2.0 will push Twittelator Pro to its rightful spot at the top! 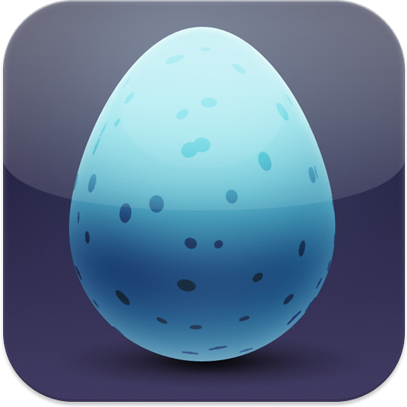 If you enjoy the free Twittelator Lite, you'll love Twittelator Pro V2". * Use identi.ca "Laconica" service too! * See what's hot in twitterverse! Stone Design is a New Mexico based software corporation founded in 1984 by Andrew Stone which has shipped over 20 titles for Mac OS X and its parent operating system, the NeXT, in the last 20 years. Major applications include Create, a page layout and web authoring app, iMaginator for image processing and Videator for video effects and VJ'ing. In the past year, in conjunction with BigStonePhone, has added 6 iPhone applications to the collection: TalkingPics for field photography and audio recording, iGraffiti which lets you paint on photos and share them, Gesture which lets you turn photos into digital paintings and share them, Twittelator Pro, the most feature laced twitter client for the iPhone/Touch, Pulsar the free pyschedelic strobe light and now SoundBite. BigStonePhone is a collaboration between Stone and Jeff BIggus of Hyperjeff, and Geoff Pado of CocoaType on SoundBite and MobileMix.